Annie Clark Tanner wrote A Biography of Ezra T. Clark, her father, and Sketch of the Life of Susan Leggett Clark ~ A Utah Pioneer of 1861, both in 1934. 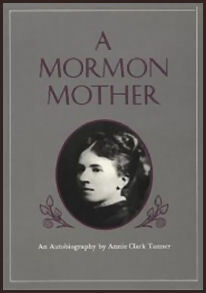 Then in 1941, the last year of her life, Annie completed her famous autobiography, A Mormon Mother. Annie Clark was born on September 24, 1864 in Farmington, Utah. Baptized into the Church of Jesus Christ of Latter-day Saints in 1873, Annie Clark was rebaptized a year later during a reformation movement. She remembered, "We raised our right hand and promised not to trade with outsiders. Also, as children, we promised never to touch tea, coffee, or tobacco. To take the Lord's name in vain was a great offense. The punishment for disregard of high moral standards among young people was severe indeed. The young people who transgressed were required to make an acknowledgement of their sin in a public meeting and ask the forgiveness of the Saints." At sixteen in 1880, Annie took classes at the fledgling University of Utah and served as a counselor to legendary Farmington Primary President Aurelia Rogers. 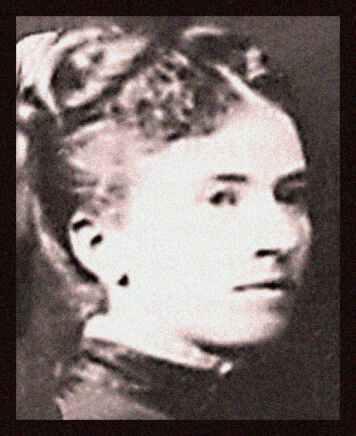 From 1882 to 1883 Annie Clark attended the Brigham Young Academy high school, where Karl G. Maeser acclaimed her as the most brillant student in her class. One of her teachers was Professor Joseph Marion Tanner, and she was attracted to him. Professor Tanner also made a strong impression on Annie's classmate, Alice Louise Reynolds: "Had I not seen a guide in Rome in 1906," she said, "I should be tempted to say he was the most handsome man I have ever seen." On his first visit to the home of Annie Clark's parents, the circumspect Tanner brought along his first wife, Jennie. After returning from a buggy ride in the country the next day, Annie wrote, "Mrs. Tanner, having observed that I had been comparatively indifferent to her husband, brought up the subject of polygamy. I told her that without her approval, our affair was at an end. "'Why,' she answered, 'don't you love him?' 'Independent of that,' I replied, 'without your approval, our interest in each other will go no farther.' She then related her father and mother's miserable experience in the principle, and excused herself for the aversion she felt for it, but concluded, 'I have no children although I have been married five years. I can't deprive Marion of a family, and of all the girls I know, you are my choice.'" Annie became the plural wife of Joseph Marion Tanner in 1883. He became president of Utah State University and superintendent of Church schools. Anti-polygamy pressures demanded that Annie's marriage be kept secret. Her wedding night was spent in her parents' home: "As I sat down to a glass of bread and milk the thought came to me, 'Well, this is my wedding supper.' In those few minutes I recalled the elaborate marriage festivals which had taken place in our own family, of the banquets I had helped to prepare and the many lovely brides among my friends. I even began to compare their wedding gowns." Six months later, Tanner married a third wife. "I had not seen the third wife, but I did wonder wherein I lacked that so soon he should take another wife. Then I remembered the doctrine of the Trinity as taught by the Church — that if one wanted to attain the very pinnacle of glory in the next world there must be, at least, three wives." When Tanner was called on a mission to Europe, "Annie Clark" supported him and herself as a school teacher. In 1888, pregnant with the first of her ten children, she went underground until the baby was born. Throughout her marriage, Annie Clark Tanner, like many plural wives, was essentially a hard-working widow: "I had the attitude of many Mormon women in polygamy. I felt the responsibility of my family, and I developed an independence that women in monogamy never know. A woman in polygamy is compelled by her lone position to make a confidant of her children. How much more is this true when that woman is left entirely alone." Annie Clark Tanner was the only female child of Mormon pioneer Ezra T. Clark to build a home in Farmington. She was the oldest daughter and second child of 10 in the family of Ezra T. Clark's second wife in polygamy, Susan Leggett. Annie used money from her father's estate, which he bestowed upon his children before his death, to pay for her home's construction. The home was completed in 1901, the year her father died at 77. 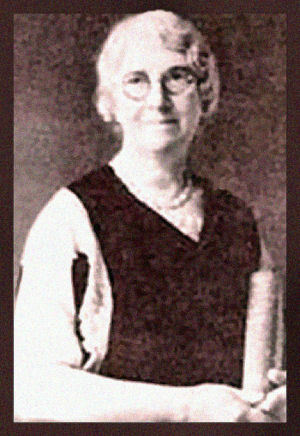 In her autobiography, Annie wrote that she acted as general contractor, a rather unusual circumstance for a woman at that time: "My father seemed quite pleased to see me drive off to secure materials at the brick kiln in Kaysville, six miles to the north.... After arranging for the bricks, I went to Centerville, a little town four miles to the south, and hired a rock mason to put in the foundation. I had to buy the lumber and hardware and also arrange for the carpenters and even the planning of the house was under my direction." 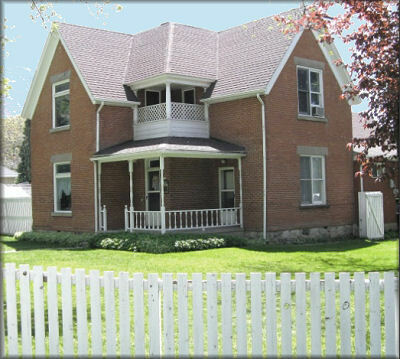 In 1910 Annie Clark Tanner rented out her Farmington home and moved to Provo so her children could obtain better educations. In Provo she took a Bible class from Brigham Young Academy's Professor Joseph Peterson, a popular instructor later dismissed from his position for teaching evolution and "higher criticism." "I had been a teacher of the Bible in several of the organizations of the Church and now for the first time in my life I was learning some truths which made reasonable explanation of Bible difficulties," she wrote. "I fully believed that the men who had done research on the old Hebrew records were just as honest as any scientist. Why should we turn down their findings?" Her son Obert Tanner observed that in Provo "the basis of her authority for truth gradually shifted from the authority of sacred scriptures to the authority of scholars and universities. She continued to love the scriptures, but on a selective basis. One scripture story or doctrine, one after another, became of doubtful value to her, if not simply incredible. "She ultimately cast her lot, not mainly with scriptures, but gradually and more finally with scholars and their books… from the warm and trusting security of a religious foundation, she gleaned whatever solace she could find in the scientific approach of the less certain, the less positive, the more tentative." Returning to Farmington, Annie did everything she could to make ends meet. Annie's Farmington home was her pride and security as she endured much personal strife. Her polygamous husband, J. M. Tanner, squandered most of her inheritance. Tanner asked her to sell her home to help finance his farm in Canada, but she refused. She built a rental house next door and rented rooms in the main house to famous orchestra musicians employed at Lagoon. She worked for neighbors - washing, scrubbing floors for 15 cents an hour to help her children to receive an education. Six of her children received a college education, including O. C. Tanner. Though Wilford Woodruff had announced discontinuance of plural marriage on her twenty-sixth birthday, Marion and Annie Tanner continued to live together after the Manifesto. She bore eight children after 1890, and he entered into three plural marriages. On a Sunday morning in 1913, J. M. Tanner made one of his infrequent trips home, a visit Annie never forgot. During that visit Tanner informed her "that he would not come to Farmington to see us any more. There had been no previous differences between us except the children's education, to which no reference had recently been made, so the statement was a great shock to me at the time. "Inwardly, I felt impelled to persuade him otherwise, and I was sure he had expected me to. I nevertheless controlled myself and made no response to his far-reaching decision. "My silence at the moment was not an easy thing. Yet, I am aware now that the years of preceding struggle to live polygamy had all helped to steel me for whatever may come. I thought in those few moments before he departed: 'I'll be equal to whatever must come.'" Thus ended their thirty-year marriage. Tanner left her destitute with eight children (two died in early childhood). Annie was forced to find work as a practical nurse in Salt Lake City. After thirty years as a plural wife, Annie Clark Tanner concluded the "companionship between husband and wife in polygamy could not be so close as in monogamy. There was more independence on both sides in polygamy…. It is needless to observe that monogamous marriages are by far the more successful. They give security and confidence, and these are the requirements for happiness." Annie Clark Tanner died in 1942 at the age of seventy-eight in Farmington, Utah, the hometown she always hated to leave. "It is but a small part that the average person contributes to improve mankind. My life has been simple, full of love, devotion, and service for my family. I might have thought mine a hard row to hoe had not the plants I cultivated responded so magnificently to the culture I gave them." Annie's enduring legacy is her autobiography, A Mormon Mother, which has been called by historians a "classic in Mormon literature." It has continued down through the decades to find wide readership because of her frank and personal observations about polygamy and living on the "underground" after the LDS Church "Manifesto" renounced the practice in 1890. She also wrote her mother's and father's biographies. Annie never did sell her Farmington house. Once her children were grown, she moved to Salt Lake City to be closer to some of them and rented her Farmington home. The house passed to relatives upon her death in 1942. Many people also know Annie as the mother of the late philosopher, philanthropist, author and University of Utah Professor O.C. Tanner, who made a fortune "moonlighting" in the jewelry business in Salt Lake City. Obert, the last of Annie's 10 children, was born in the Farmington home in 1904 and is buried next to Annie in the Farmington Cemetery. Bushman, Claudia V., ed. Mormon Sisters: Women in Early Utah. Cambridge, Massachusetts: Emmeline Press Limited, 1976. Tanner, Obert C., ed. A Mormon Mother: An Autobiography by Annie Clark Tanner. Salt Lake City: Tanner Trust Fund/University of Utah, 1976.